IMPORTANT! OSHA Standard 1926.59 The requirements applicable to construction work under this section are identical to those set forth at 1910.1200. All 1910 General Industry standards referenced in this article are also applicable to the construction industry. HCS stands for Hazard Communication Standard, which is the OSHA standard with the goal to ensure employers and workers know about chemical hazards in the workplace and how to protect themselves. What chemicals are in the areas you will be working in? 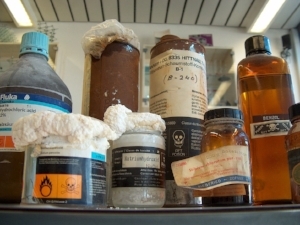 What are the hazards of those chemicals? How do you protect yourself from those hazards? OSHA Standards 1910.1200 The purpose of this section is to ensure that the hazards of all chemicals produced or imported are classified, and that information concerning the classified hazards is transmitted to employers and employees. 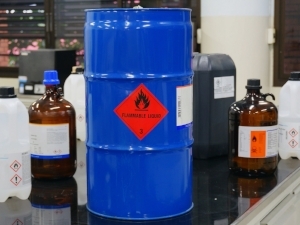 The requirements of this section are intended to be consistent with the provisions of the United Nations Globally Harmonized System of Classification and Labelling of Chemicals (GHS), Revision 3. The transmittal of information is to be accomplished by means of comprehensive hazard communication programs, which are to include container labeling and other forms of warning, safety data sheets and employee training. Workers have a right to know what chemicals are in their workplace, especially if they have to use them as a part of their job. HCS requires that chemical manufacturers and importers must develop a Safety Data Sheet or SDS for each chemical they produce or import. Safety Data Sheets contain valuable information about the hazards of specific chemicals and an SDS must be kept on hand for each chemical at the job site. OSHA Standard 1910.1200(g)(8) The employer shall maintain in the workplace copies of the required safety data sheets for each hazardous chemical, and shall ensure that they are readily accessible during each work shift to employees when they are in their work area(s). Workers should be familiar with the potential hazards of any chemical they use at work. It is important that all chemicals be labeled properly. Chemicals that are not properly labeled, or that have damaged labels, should never be used and these chemicals should be reported to the manager or supervisor immediately. Containers that are not labeled and/or are stored improperly creates a serious hazard for any individual who tries to use the chemicals. It also creates a risk as these chemicals could react if they make contact or spill. OSHA Standard 1910.1200(h) Employee information and training. Employers shall provide employees with effective information and training on hazardous chemicals in their work area at the time of their initial assignment, and whenever a new chemical hazard the employees have not previously been trained about is introduced into their work area. Weeklysafety.com gives you instant access to hundreds of safety meeting topics and toolbox talks, including a full safety meeting kit on Hazcom. Stop searching for new safety meeting ideas every week. For a super low subscription price, you can have access to hundreds of safety topics and get over $1800 in free gifts including a customizable safety manual, new hire orientation, a free book and so much more. Click the button below to learn how you can sign up for a risk-free subscription today.